All Points PR coordinated a placement in Franchise Times online for client Executive Care and its CEO. 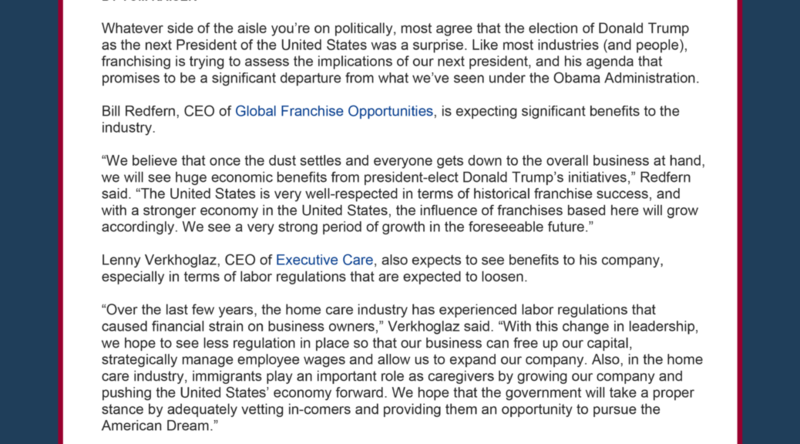 The brand discussed how the new presidential administration will influence the home health care industry. Coverage ran online.